Saurav Kumar was studying in Bokaro (Jharkhand) in one of India’s biggest coaching institute for IIT JEE. During that time, a well known Kota based coaching institute came to his school for “crash course”. They promised rewards and gifts to students. Student were asked to sign a form and submit a photograph. But Saurav denied that offer. After the JEE result, Saurav shocked to see his name in the advertisement of very same coaching institute whose offer he declined very graciously. With an AIR Rank of 187 and his photo, he was shown as the star performer of coaching institute. It’s just not Saurav, but there were more students from Bokaro displayed in the advertisement. Ironically, that Kota based institute had no branch in the city of Bokaro. Subham Tulsiani and Arpit Agrawal residing in other cities also got the similar offers from coaching institutes. And it’s not just gifts that are promised but hard cash (upto 5-10 Lakhs for top JEE Rankers) were offered to students. While most of the students keep their integrity and deny these offers, there are some students who accept the offers, take the money and sell their IIT JEE Ranks to these coaching institutes. 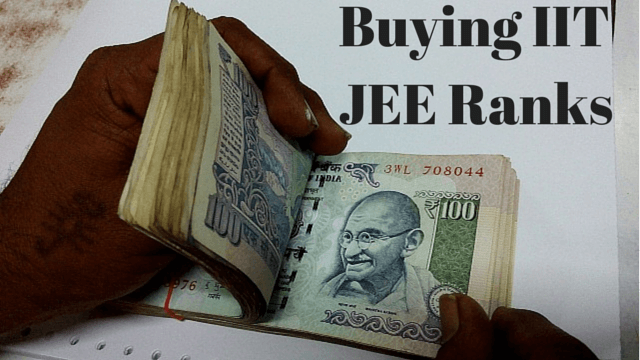 While it’s very common for these coaching institutes to get in touch with IIT JEE Rankers for the exchange offer of Rank and Cash, this practice of buying IIT JEE Ranks starts even before the JEE results. Shubham Tulsiani got couple of offers when he was in class 12th, preparing for JEE. Some people from India’s top coaching institute for Medical visited Shubham’s place to gift him books for the preparation of IIT JEE. He just had to sign a form in return. In an another incident, a self proclaimed agent offered him 8-10 Lakhs for signing up for a few coaching institutes. This trend of trading the ranks of JEE Toppers is not something new. In 2011, Times of India along with IITians Pace conducted a sting operation on a broker who was dealing with the buying and selling of top rankers at the JEE. The broker said he could provide 30-40 candidates from three classes in Kota (Bansal, Resonance and Vibrant) who would definitely score a rank below 100 at JEE. Each of these student would come for Rs 10,000. He said he could also provide a few more kids who would probably make it to the IITs, but with a rank above 100 on a price of Rs 5,000 per head. From his conversation, it was very clear that he was in contact with some top students who are performing very well, and were most likely to clear IIT JEE with very good ranks. He was trying to sell the upcoming IIT JEE ranks of students to the coaching institute. But why these coaching institutes do this unfair practice of buying students ranks? 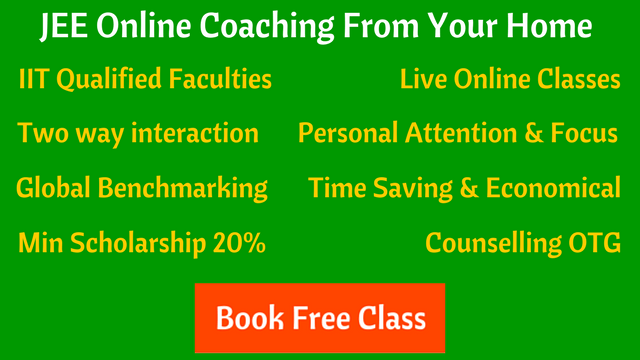 Coaching industry is booming in India, a multi billion industry now. It’s a rat race and everyone wants to outshine others. Coaching institutes are trying hard to buy ranks, interested students getting handsome returns by selling their JEE ranks, and sometimes school plays the role of intermediary who provide students details to these institutes. Every year, after the results, coaching institutes displays and highlights their successful students. Some of them vouch for thousands, some hundreds. And the funny thing is, If you calculate the total of these numbers, it surpass the total number of official candidates who cleared JEE! With recent boom in e-learning, a convenient and cost effective approach to IIT JEE preparation, many students are opting for online courses. With the intention of enrolling more students, some online coaching providers display fake results and testimonials on their websites. Suppose, a student register to get some free resources like IIT JEE past year papers from a website. Later on, If the same student gets very good rank in IIT JEE without taking any coaching from the online provider then the online coaching provider has no right to put his/her name in their results and claiming that the student took coaching from them. The advice for parents and students is, when you see the result of a coaching institute in any type of advertisement, don’t trust it with blind eyes. Sometimes, it’s a trick to lure students and their parents to get admission into the institute. It’s also possible that the results or testimonials are bought. In that case even verification can’t tell you the real truth. I am not saying that every institute does this practice of buying IIT JEE ranks. There are very good coaching institutes in the country which still believes in ethics and honest transparency. Every year they are producing well prepared students who qualify iit jee. But there are some coaching providers who tries to fool students and their parents. So as a parent, you just need to be alert and verify everything in detail before putting your hard earned money in the hands of those who are going to play a significant role in the success of your child. What’s your experience. As a JEE Rank holder, have you ever received these type of offers from coaching institutes? Or as a parent, do you trust the results and testimonials of the coaching institutes? Express your views and opinions on our social media discussion post. Disclaimer: Students experiences are taken from their confessions on Quora.